Many of you might not know, but Newfoundland & Labrador is one of our biggest growth markets internationally. As part of my recent visit to Canada, I visited St John’s with our VP for North America, John Whelton. It turned out to be some experience and I was bowled over by the welcoming and friendliness of the people, its unique culture and the many similarities between “The Rock” and Ireland. We stayed in a nice boutique hotel called the “Jag” which was a stone’s throw from George Street, and they served beautiful pints of Irish Stout, Murphy’s. 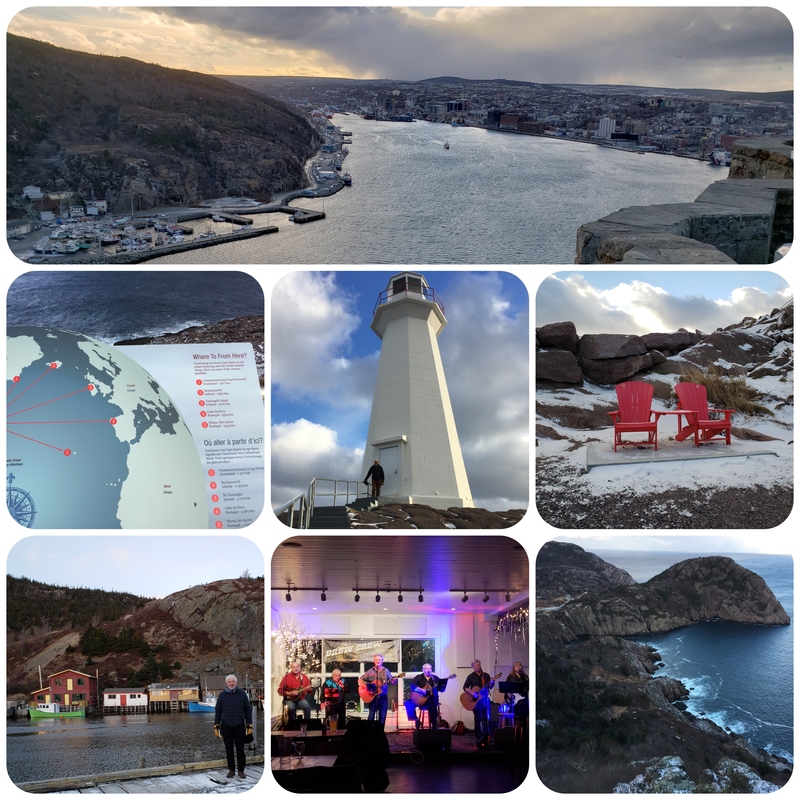 After meeting with our various client friends in the local Municipalities and Healthcare organisations, John had time to show me around the sights of St. John’s over a weekend and as you can see from the photos, we covered a lot of ground in 48 hours. The locals had heard on the Friday of some bad news in that WestJet axed direct flights from St. Johns to Dublin which has disappointed a lot of people on both Islands. The cuisine in St. Johns is something else to behold and we dined in The Merchant, The Fish Exchange and memorably at Mallard Cottage in Quidi Vidi. The fish options of mussels, oyster, char, cod, halibut etc. were scrumptious …. oh my god for all those fish connoisseurs out there, go and taste them for yourselves! On Friday afternoon we walked to Signal Hill which overlooks the city and took in all the fortifications that were built in the mid-17th century. The Battle of Signal Hill was where the French surrendered St. John’s to the British Forces and in 1901 the first transatlantic wireless transmission was received in Signal Hill by Marconi. Rich history indeed and, oh I nearly forgot, what a view of the harbour and its entrance called “The Narrows” with a depth of 11 metres and at its narrowest and just 61 metres wide. Through the guidance of our friend Victoria in the Municipality of St. Johns, we returned a different route and ended up in Quidi Vidi an historic fishing village with heavy snow drifts leading us to the famous Quidi Vidi Brewery where we resided for the night and made some great friends and acquaintances with some third-generation Irish folk. We had a drink with Loyola Sullivan, previous Canadian Ambassador for Fisheries Conservation, and also heartily regaled stories with relatives of the recent Canadian Ambassador to Ireland, Loyola Hearn. After dining in the Mallard Cottage restaurant, we returned to the brewery a second time and listened to the wonderful local band, The Brew Crew, who played to the wee hours with traditional Irish songs and popular classics. We even got to sing a few verses but what stays on tour…The next day we visited Cape Spear National Historic Site – the most easterly point in North America and just over 4,000 kilometres away from Dublin City. We are virtually next-door neighbours! On the Saturday night, I got screeched-in, becoming an honorary Newfoundlander. The “screech-in” is a ceremony performed on visitors involving a shot of screech rum, a short recitation and kissing of a cod – I got the photos to prove it but they are not very pretty specially the kiss.. I would recommend you all to visit Newfoundland and put it on your “must have” bucket list. It’s hard to believe but I fell truly in love with Newfoundland and its people over a long weekend and look forward to many more trips to the most Easterly Province in Canada. Long may your jib draw!